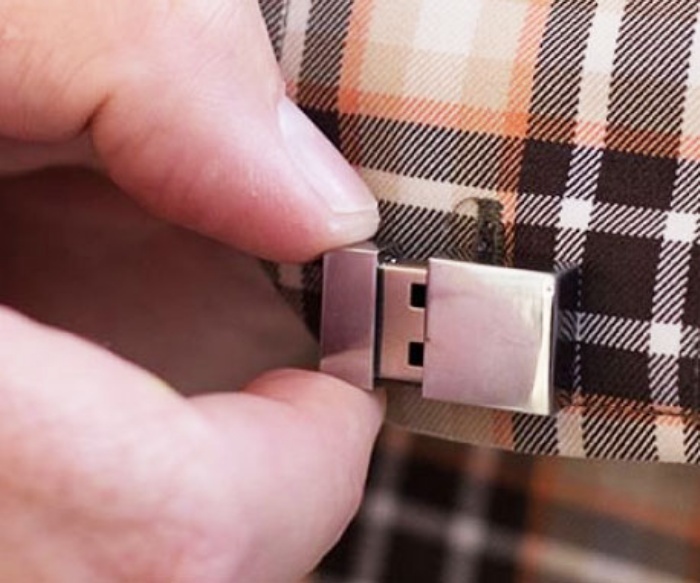 USB Cufflinks Keeps Cuffs In Place, Stores Your Data | OhGizmo! Keep your cuffs in place and data secure with these USB cufflinks. You’ll literally have two gigabytes of storage within reach at a moment’s notice. The cufflinks are sleek, discrete, and classic, so they go with just about anything. When you need to share a file, save something, or transfer some documents, just pull the top part out to reveal the USB drive. Each one has a capacity of two gigabytes, giving you a total of four gigs when you’re wearing the pair. The USB cufflinks are available online for about $195.